Otorhinolaryngology is nothing but the study of diseases of the Ear, Nose, and Throat. Sleep Medicine: It’s containing such as sleep apnoea can be obstruction in the throat and the airway passage, it can be attributed to abnormalities in the nose; for example Septum deviation. Sleep apnea is a common disorder, and continues airway positive pressure. These considered to the gold standard of therapy. The problem with CPAP is adherence, with many patients eventually abandoning the device. Allergy: Allergy expected to learn about the pathology of allergies. They are also trained to properly assess and treat allergies using treatment options that can range from medication to immunotherapy. They are also responsible for the prevention and management of the condition. 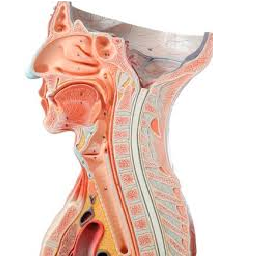 Head and Neck: Otorhinolaryngologists trained in head and neck treatment and management are expected to have in-depth knowledge in oncology. They provide scientifically proven treatment and therapies as well as perform surgery to remove both benign and malignant tumours or to treat congenital deformities, and provide trauma care. Facial Surgery: Surgery can be either reconstructive in nature, which aims to restore the appearance or function of the affected body part, or plastic, which enhances the look of the body part especially the nose and ears. Pediatric Otorhinolaryngology: These are otorhinolaryngologists who work with children, which ages range from 0 to 12 years old. More often than not, they deal with congenital defects, trauma, and infections affecting the ears and throat.